The Norway Rat originated in the plains of Asia. 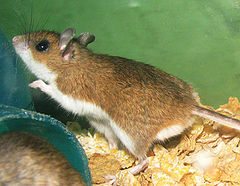 The name " Norway " rat is thought to be based on where this rat was classified with the prepared study specimens later being sent from Norway. This Rat is also called the Brown Rat, Sewer Rat, Barn Rat, Wharf Rat, Water Rat, and Grey Rat. The Norway Rat is a relatively large Rat although many exaggerations are made by the public and press about its size. An average adult measures about 16 inches in total length from its nose to the end of its tail, and weighs about 12 ounces. The length of the tail is shorter than the body. This Rat is also known as the Black Rat, Ship Rat, and House Rat. The Roof Rat also originated in Asia, but further south than the Norway Rat in the dense forests. The Roof Rat, as per its name, prefers aerial harborages. This Rat was the common Rat in homes in Europe during the outbreaks of the plaque known as the "Black Death". Adults are medium-sized Rats weighing about 8 to 12 ounces , and measuring about 16 inches in total length from nose to the tip of the tail. This is about the same total length as the Norway Rat with the biggest and key identifying characteristic being the tail. The Roof Rats Tail is LONGER than the body. 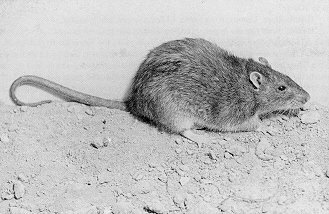 In the U.S. the Roof Rat is much more restricted in its range than the Norway Rat, Mostly being established in the south-central and south-eastern states and along the entire West Coast. The House Mouse is found throughout the world from the tropics to the Arctic and Antarctic. 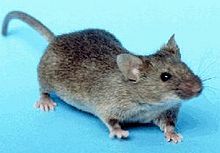 In most cities and towns around the world, it is the House Mouse, not the rat that ranks as the number one rodent pest. The Hose Mouse is able to breed rapidly, tolerate a wide range of conditions, and adjust quickly to changes in its environment. These traits are responsible for the success of the species in so many parts of the world. The adult House Mouse can range in total size from 5 to 8 inches, and the average adult weighs .5 to 1 ounce. The tail is about as long as the body and head combined. House Mice are extremely common within cities and towns, but they can also live as field rodents away from any buildings. The House Mouse should not be confused with Voles, White-Footed Mice, Deer Mice, or Shrews ( Note Pictures ), all of which are entirely different animals. Occasionally, house mice are confused with young rats. However, a young rat's head and feet appear large and out of proportion to the body, whereas the mouse's head and feet are in proportion to the body. When you want the best, get Certified! Voles or Meadow Voles are also referred to as Meadow Mice, Orchard Mice, or Field Mice. Voles will infest our lawns, gardens, and landscaped areas around our homes and buildings. They make their presence known by chewing unsightly well defined surface runway systems ( Trails ) in our lawns ( note the damage picture ). Voles dig shallow burrows in planting beds, feeding on a variety of ornamentals, including flower bulbs and roots. They occasionally enter buildings at ground level. Being poor climbers, they cannot enter buildings via many of the routes used by House Mice, Deer Mice, or Rats, but instead blunder into buildings by accident. Control methods include...... Exclusion, Live Trapping, Lethal Trapping, and The use of Toxic Baits. We believe in and use Toxic baiting as the most effective method of control and elimination for Voles. We install galvanized steel tamper resistant bait stations that are secured to the ground or installed on blocks, only after surveying the property and determining how many are needed.